Hotel fights back | Marbella Marbella – Adelante! A hotel spokesman has responded by saying that Novelli “over-reacted” and “disgusted even his biggest fans” with the last-minute move. 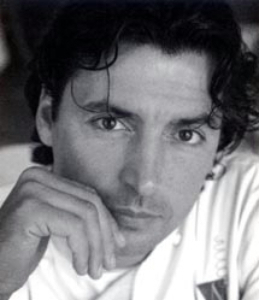 The hot-blooded Frenchman decided to call last orders at the franchised Novelli’s Restaurant citing he “had no choice but to protect his good name and brand”. However, a hotel spokesman has responded by saying that Novelli “over-reacted” and “disgusted even his biggest fans” with the last-minute move. The hotel management is also adamant that standards had not slipped, as Novelli claimed. The spokesman Melanie Kenyon added that Novelli’s closest staff members were also “flabbergasted” by his walk out. “Standards have certainly not dropped at all,” she insisted. “We still have all his former staff members and even his executive chef Wesley Smalley, who has worked with him for the past seven years. Kenyon added that many of the 104 guests who had booked in advance for the 75-euro-a-head Christmas Day dinner told staff that service was actually “better than ever”. Booked customers received an email from Novelli on Christmas Eve explaining that he wouldn’t be serving food and was severing his ties with the hotel. The Olive Press revealed last June that Novelli’s UK gastropub business collapsed owing more than one million euros. And in 2005, Novelli was issued with a lawsuit over unpaid bills after storming out of his French restaurant in Hertfordshire.